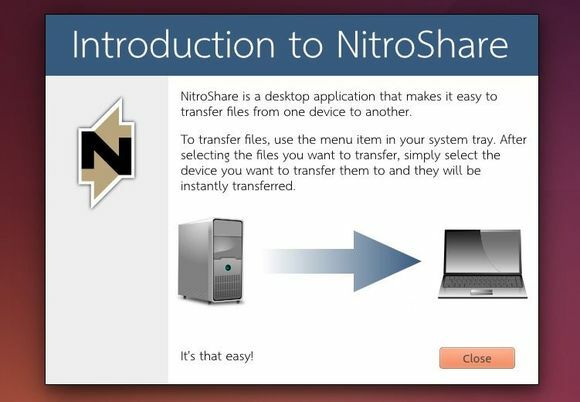 NitroShare, a cross-platform network file transfer application, has reached the 0.3 release. Official PPA adds support for Ubuntu 14.04, Ubuntu 14.10, Ubuntu 15.04, Linux Mint 17. Nitroshare is an old project started in 2012. The development goes live 2 months ago and the Nitroshare 0.3 is the first stable release that works on Linux, Windows, and Mac OS X.
written in C++ using Qt5. For Ubuntu and Linux Mint users, you can install the app either from PPA or via .deb installer. You can also download .deb binary (as well as Windows exe, OSX dmg) from launchpad.net/nitroshare and install it via Software Center. Hello, I’m Jerry, a beginner to Ubuntu 14.04. I want to build a personal blog website through Github. I have read serval blogs about it. But it seems not work to me. I don’t what to do next. Can you teach me? Thank you very much. 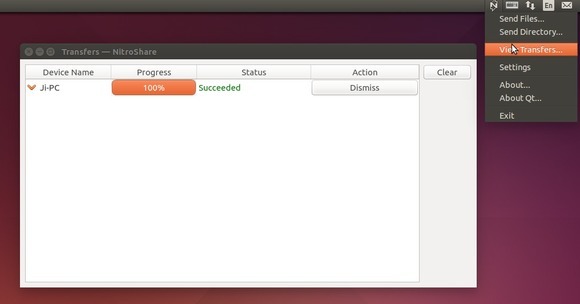 How to remove Nitro Share from Ubuntu 15.10? It’s not in the software center. I would recommend Synaptic Package Manager if you want a graphical tool to install/uninstall apps that are not listed in Software Center. You can install it in Ubuntu Software Center.